Steven (Chicagoland, United States) on 13 November 2012 in Miscellaneous and Portfolio. 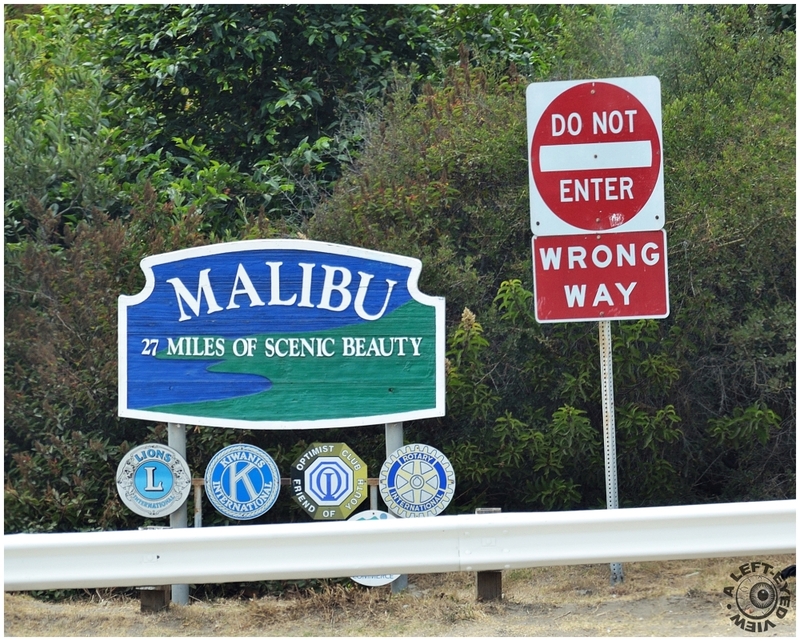 Not exactly a welcoming message to visiting motorists along the Pacific Coast Highway at Malibu, California's gateway to the city. You just gotta love this! Excellent find. Great find. Looks like they want to keep all the beauty to themselves! Be an optimist and keep on going! Curly is right - endorsed by the Optimist Club - foot hard down ! Wonderful! This really is funny! A great find! Happy ST! That's funny ... a good sighting and capture to post for ST! Happy ST! This is truly a confusing spot. The message isn't really clear ... great shtot for ST !!! He, he... Great capture for an ST! Great capture of the signs !